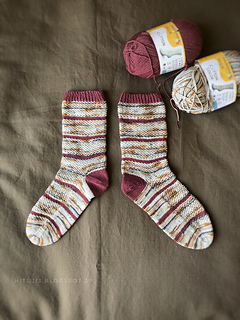 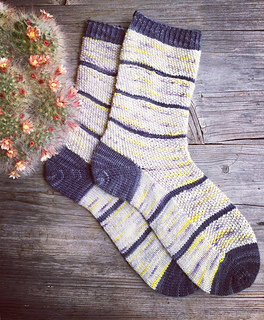 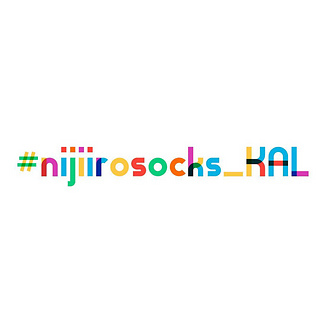 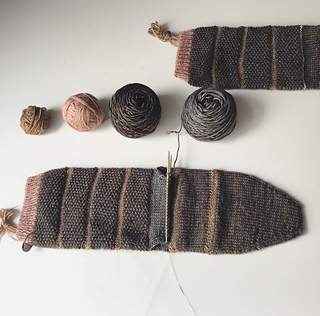 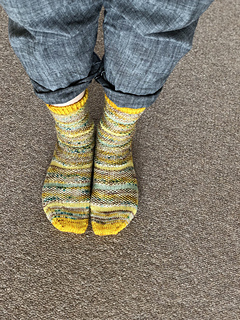 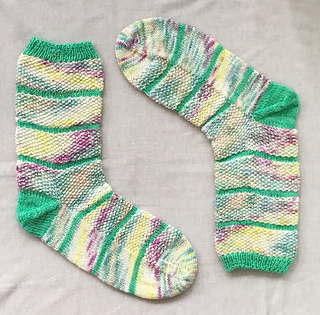 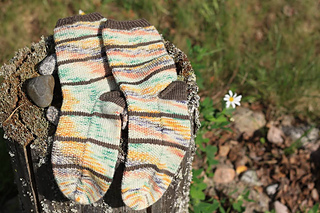 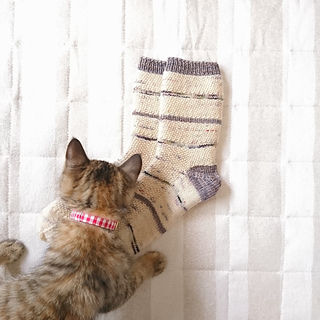 Niji iro - rainbow colors in Japanese - is a sock featuring seed stitch and striped pattern. 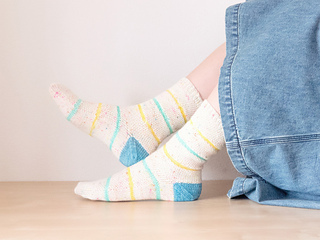 Socks are worked cuff-down with afterthought heel. 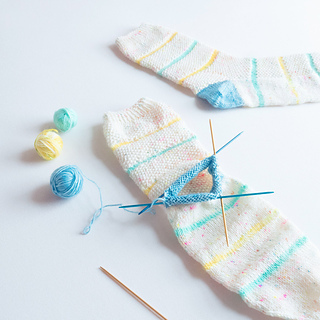 You can choose the toe from wide-toe or tabi-toe (a separation between the big toe and the others.). 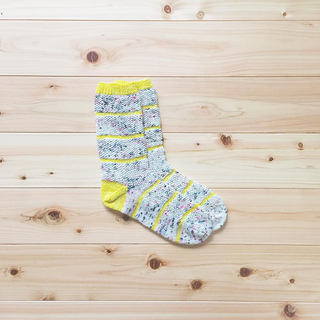 NOTE: Distribution and support of the free version ended in 2018. 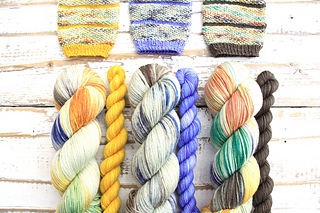 Smooth waste yarn, tapestry needle, two stitch markers. 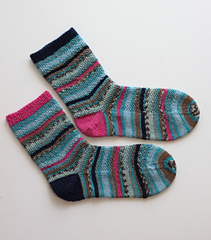 Recommended ease: 2-2.5 cm / ¾-1“ of negative ease.